Under the collaborative program Circular North Jutland, Aalborg has launched a number of innovative projects focusing on circular economy and use of resources. With Circular North Jutland, Aalborg is aiming to be a circular municipality. Through the many initiatives involving both children and adults, as well as large and small businesses, the municipality has already reaped huge climate benefits. As part of the green procurement policy, the municipality has set new standards for procurement in schools. Instead of discarding old furniture, there are now standards in place for furnishing classrooms with a mix of new and refurbished furniture. 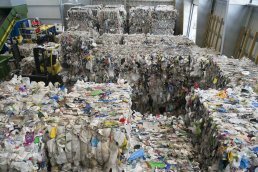 On the business side, Aalborg has been driving sustainable business development with a particular focus on plastic as a recyclable resource for companies. Among other activities, it reaches out to small and medium-sized enterprises by making energy and resource plans for 100 companies. These plans enable companies to reduce energy consumption and ensure better use of resources, raw materials and waste. Aalborg Municipality has incorporated the circular economy as a key area of action in the municipal sustainability strategy. Municipal projects on resource and energy efficiency have reduced 57,500 tonnes of CO2 emissions. Further reductions were made possible by reduced waste transport and less waste from schools and companies. Waste remains in the circular loop, giving rise to new job opportunities. In North Jutland, the green goods and services sector - including the circular economy sector - creates 8,500 full-time jobs. The program drives innovation and development among companies in North Jutland by offering resources and knowledge, and fostering new collaborations. Cooperation between municipalities, Aalborg University and the private sector creates circular economy initiatives and projects, as well as sustainable business development.